Nine North Koreans who spent five days at sea in a small wooden boat were towed to a Japanese port Tuesday after they were spotted off the coast, officials said. The people escaping North Korea, included three children, were questioned aboard a coast guard patrol ship as it towed their vessel to Kanazawa, a port city on the Sea of Japan coast. “They said they left a port in North Korea last Thursday, hoping to reach South Korea,” a Japan Coast Guard spokesman said. 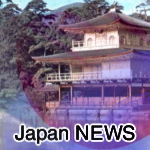 The boat arrived at Kanazawa, 300 kilometers northwest of Tokyo, at 7:15 p.m., according to Japanese media. Can you eat a 14 year old burger?